What was it that inspired you to create Inescapable, and how long have you been working on the project? I initially started just with the idea to do some small projects for my own amusement, but after Transmission went bust and we all lost our jobs I decided I was done with the commercial game industry, and started to take the idea of going independent more seriously. Then I started a new job here in Tokyo, and while the job was good and the work was interesting, I was often working very long hours and had a long commute each day and was unable to spend as much time as I wanted with my then newborn daughter. So I started to see making and releasing a game myself as my ticket out of a situation I was unhappy with. So while the serious work on the game started around 9 months ago, I was laying the foundations for a few years in total. I've been really impressed by how technically undemanding the game is; a couple of megabytes is a rarity for a download these days and Inescapable has really low system requirements (it even runs at full speed on my three year old EeePC netbook). In our previous discussions you mentioned that the game was developed using Lua - could you describe the development environment in further detail, and with your experience, would you recommend Lua to other indies? Growing up with - and learning to program on - the old 8 and 16 bit home computers means I naturally tend to abhor bloat and unnecessary layers of complexity, so it just kinda turned out that way. I was introduced to Lua while I was at Transmission, and became enamoured with it's simple and clean syntax combined with the power of it's higher level features. It really reminded me of programming in BASIC but with the added benefit of advanced data structures and other more modern language features. This is really where it all started - being tired of writing endless lines of C++ boilerplate to get various middleware and libraries talking to each other, I wanted to recapture the fun and immediacy of programming in STOS Basic on my Atari ST. The game itself then is entirely written in Lua, and being an interpreted language means there's no compile step necessary before testing new changes to the code, which is a nice time saver. So for me, using Lua in the way I do has definitely brought back the fun and immediacy of my earlier programming years, and so I'd definitely recommend others to at least check it out and see if it suits them too. It's not often that a one-man studio releases a game of the quality of Inescapable without outsourcing at least some of the asset production. As a programmer by trade, did you find adopting to the different disciplines of game development a challenge? Did you ever consider contracting someone to help with the art and sound, or was Inescapable a personal project that you wanted to complete single-handedly? I definitely saw it as a personal challenge. Somehow I had an irrational confidence that I could manage to do everything myself, but on the other hand not enough confidence that I would actually finish to consider calling in external help. Years ago I dabbled in electronic music production, and while never really producing anything I enjoyed learning about it and that gave me a decent base to build on when it came time to work on the sound for the game. Likewise with the art, although I've never really done pixel art before I had some small amount of general knowledge such that, with enough practice, I thought I could manage something "good enough". What was the biggest challenge in Inescapable's development? Time. Extreme underestimation of the time it would take to finish, and trying to find the time to actually work on the game while helping to look after (now) two small children. When I quit my job I thought I would finish the game in 3 months! Even with plenty of industry experience and knowing the tendency to underestimate I was still off by a factor of three. 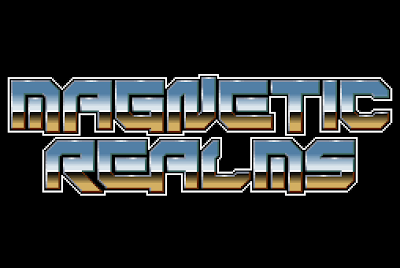 With your first project now complete, aside from possible future updates, do you have further games planned for release under the Magnetic Realms label? Absolutely - I have a notebook with various game ideas I'm considering, it's just a matter of deciding which to pursue first. Hopefully Inescapable will sell well enough that I can concentrate on making them while still keeping my family fed! Do you follow the indie gaming scene, and are there any recent releases that have piqued your interest? Especially in the last few months I've spent every possible moment of free time on the game, so I haven't really kept up with the latest releases. But I'm keen to play FTL, and I like the look of Hammerwatch, and Enemy Starfighter. If anyone else is currently making or thinking of making a game themselves then I would encourage them to go for it and don't give up. It may seem impossible at times but anything is possible if you stick at it. Thanks for covering my game and helping to get the word out, I really appreciate it! (Visit the Magnetic Realms website for more information on Inescapable and future projects). the theme of the site is really good and reflecting the scene in true sense. Just been playing Inescapable and am really enjoying it. It'd be nice to see a C64 version of this. From what I've been playing up to know, it looks like a C64 version would be achievable.